Today the Supreme Court of the United States will begin hearing arguments in the case United States v. Texas, a lawsuit challenging Obama’s executive actions on immigration. As you have heard, a federal court order temporarily froze the expanded DACA and new DAPA programs from going into effect as expected. 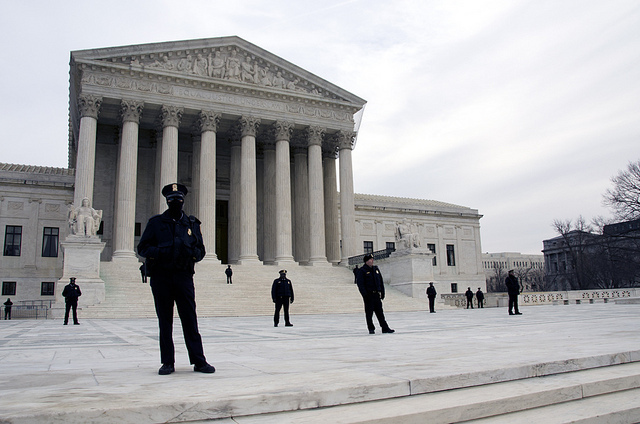 The Supreme Court will decide the fate of these programs by June of this year. It is truly an exciting time of the year for immigration law. United States v. Texas is the biggest immigration case of our generation. The Supreme Court’s ruling will set an important precedent for the future of immigration policy. The court will also determine whether the President had authority to enforce the executive actions on immigration. As a member of the American Immigration Lawyer’s Association (AILA), we invite you to join a live webcast with AILA experts Greg Chen, Legal Director Melissa Crow, and UCLA School of Law Professor Hiroshi Motomura on Tuesday, April 19, 2016, at 1:00 pm (ET), as they recap and offer expert analysis of Monday’s Supreme Court oral arguments in the United States v. Texas case. For more on United States v. Texas click here. We will continue to provide updates on this case as they become available.